So it's a bit of a corny reality show with the required melodrama, but I liked some aspects of ABC's new show “American Inventor.” If you fast forward through the crap (thanks ReplayTV), you can actually see some clever ideas. My favorite was a shovel designed for filling sandbags and I think it illustrates creativity and the type of kaizen thinking that we should all encourage in our organizations. The shovel head is bigger than the bag, you drop and waste sand. 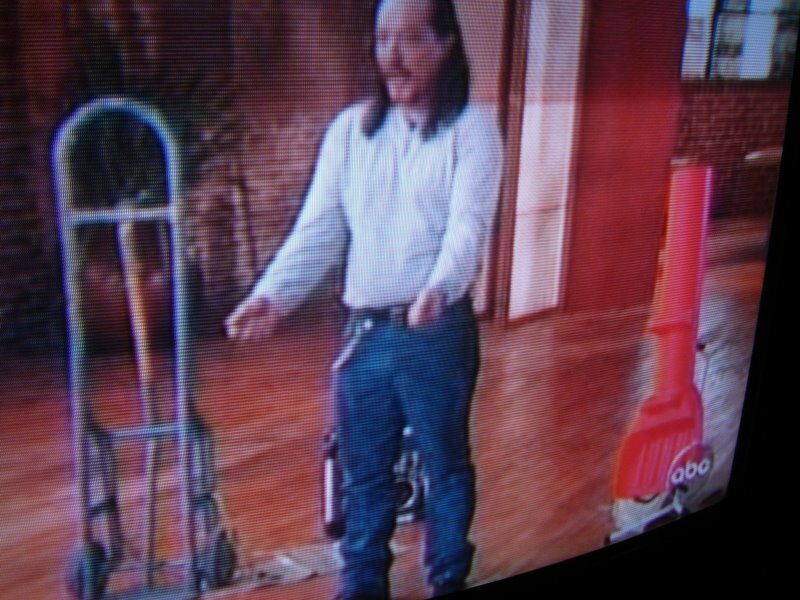 A 43 year-old handy man invented a much-improved shovel, they accepted him to the next round of the show. 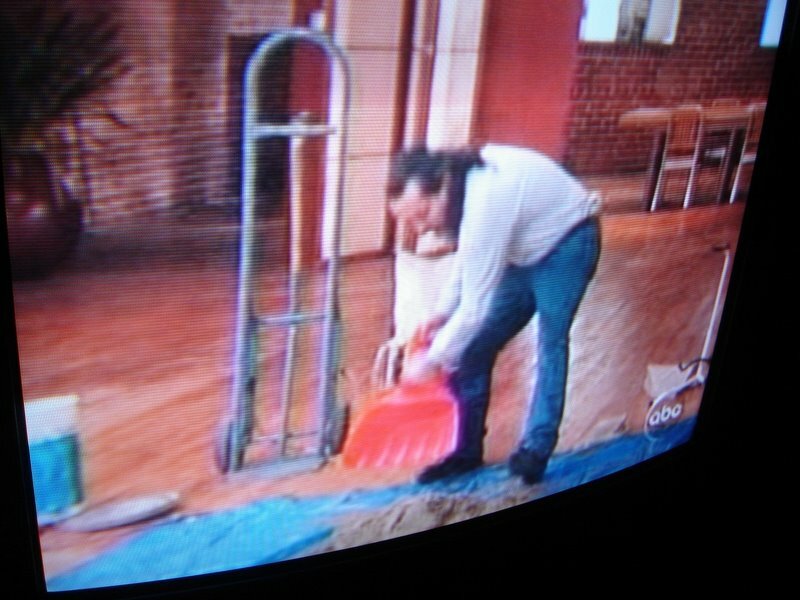 Here is a shot of the shovel, the red plastic on the right. 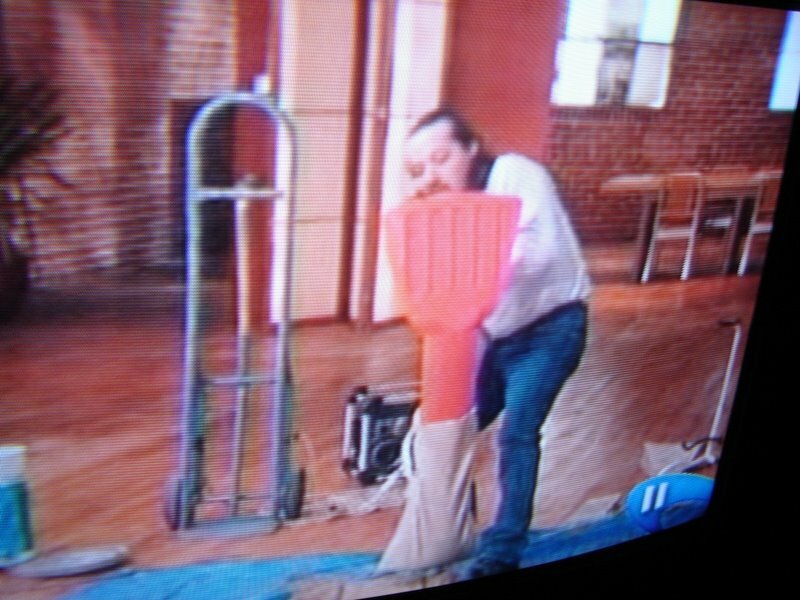 I think he prototyped it originally using ducting and a shovel end. He invested $20k, mortgaging/selling his house, to have a plastic model made. Here he is scooping up sand. The sand bag was placed on the open end, the top of the shovel was an open tube, now it has a bag on it. After scooping, you tip the shovel back up right and the sand falls down the tube right into the bag. This inventor has more than doubled (if not tripled) the productivity of sand bag making. This would be very helpful for flood prevention, hurricane relief, etc. I hope you can get a sense of how this works from the pictures. Very creative, kaizen applied to sandbag making. Great product! Unlike a silly singing contest, this show might actually inspire people to be creative. It inspires me to look for opportunities for kaizen. The invention, like many good ones, seems so obvious when you see it, but that's what makes it inventive. Good kaizen ideas are like that too, such as putting aluminum foil on the carriers at NUMMI. Seemed so obvious in hindsight, but it really took creativity for someone to come up with the idea. We’re ALL Done With Batching? A Lean Product in How Many Ways? I’m with you! This show started a little slow for me, but I think it will find its groove soon. Inventor’s stories about commitment and funds they have invested don’t impress me much. Good inventions that can actually sell are the name of the game. Just like American Idol it seems a lot of people are told they are great “singers” or “inventors” in this case, who really don’t have any discernable talent when held up to the light of day. Even the sandbagger has been done before. Don’t these people check the Patent & Trademark Office first? The inventor isn’t talking about how heavy sandbags are, the force required for a mere human to scoop one, or the metal frame that already exists to hold bags. The frame avoids the nasty shovel cuts and 2nd person needed he claims his product resolves. Sure, it’s one scoop at a time, but who can scoop a sandbag’s worth of sand all at once? He also claimed all the twisting and strain was eliminated with his product. Not so, just straining a little differently. I’m not dogging on the guy, but before long these issues (and others) will have to be addressed for this show to be credible. Here’s hoping the show turns out to be the inspirational and fun program it has the potential to become. Good points! Yes, it’s sad when people only ask their family about singing or business ideas. If you only ask friends and family, you run the risk of them all being too polite to tell you that your singing or your idea stinks. If you enjoy the show you might like the web site better. The place where the ABC American Inventor contestants hang out. It’a a fun site for inventors and create-it-yourself-ers of all types and the best American Inventor show site. Contains daily blogs, lively forums, gallery of cool and odd inventions and funny wacky products, resource directory and more.